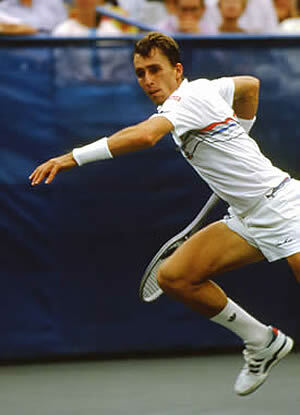 Ivan Lendl is one of the great tennis legends in sporting history. Ivan relied on a power game of strength and heavy topspin from the baseline to win eight Grand Slam Championships: the 1989-90 Australian Singles Championships; the 1984, 1986-87 French Singles Championships at Roland Garros; and three consecutive US Open Singles Championships, 1985-87. He competed in nineteen Grand Slam finals, including eight consecutive finals at the US Open (1982-1989). One of tennis' dominant forces in the 1980s, he compiled amazing win-loss singles records at the majors: Australian 48-10; French 53-12; Wimbledon 48-14; U.S. 73-13. For the years 1985, 1986 and 1987, Ivan's match-winning percentage was greater than 90%, a record that has only been equaled by Roger Federer. A 17-year veteran, Ivan was ranked in the World Top 10 for thirteen years (1980-92), finishing at No. 1 in 1985-87, 1989. He was the world's No. 1 player for a total of 270 weeks, a record that has only been surpassed by Pete Sampras and Roger Federer. He registered an impressive 157-week streak while at No. 1. Ivan holds 94 career singles titles, including a unique 1980 feat, winning three tournaments in successive weeks on three different surfaces. He was the driving force for the 1980 Czechoslovakian Davis Cup team, compiling a perfect 7-0 record in singles and 3-0 in doubles, leading Czechoslovakia to its first Davis Cup triumph. Ivan is revered for his tireless work ethic and meticulous game preparation, including revolutionizing racquet maintenance and optimizing equipment performance. Ivan's success in tennis was due in large part to his highly thorough and intensive training and physical conditioning regime, his scientific approach to preparing for and playing the game, and a strong desire to give his full effort in reaching ultimate tournament success, an attitude that has left a long legacy in the sport of tennis. In 2010, the tennis community welcomed Ivan Lendl back to center court, as he returned to the sport competing in a one-set match against tennis champion and former World No. 1 Mats Wilander in the Caesars Tennis Classic in Atlantic City, NJ. Ivan even rekindled his old rivalry with John McEnroe at the BNP Paribas Showdown in New York's Madison Square Garden (2011). Ivan stepped into the coaching arena at the end of 2011 to help Andy Murray. Their partnership won Olympic gold (2012) for the young Scot and continued to the title at the 2012 US Open. Murray would reach a then career high rank of No. 3 and move on to the 2013 Wimbledon title. Additionally, Lendl saw Murray take the Wimbledon title again in 2016 and successfully defend Olympic gold while also attaining World No. 1 status. "Having someone such as Ivan back you and your ability to win the sport's biggest titles has added to Murray's inner belief and Ivan has helped the Scot to commit to go for his shots and never have any regrets. In the big moments against Novak Djokovic [in the US Open final], especially after the fourth set, Murray stepped closer to the baseline again and was aggressive while always being in control. That was pure Lendl." Ivan now spends a portion of his time working with junior players at the USTA National Campus in Orlando. 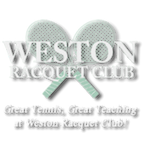 His role as a part-time scout and teacher has helped identify talented young American players, in the hopes of rallying American tennis to the highest level of success.